Shark / Sura (in tamil) Puttu is not an usual recipe in our household; however, we started liking it very much after tasting it in the house of my friend & neighbour, Rekha Sridhar. She also helped me in preparing this yummy dish. Thank you Rekha! 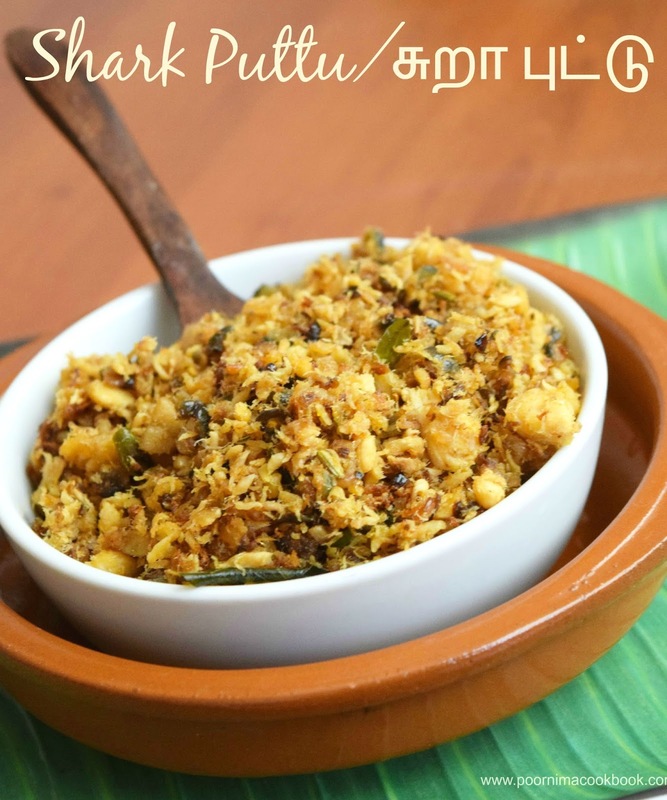 Shark / Sura Puttu is an easy and delicious recipe using minimum ingredients, which are easily available in your kitchen. Kids will love this dish, because no fear of bones in it. You can also try this recipe using kingfish or any fish fillets; but with shark you will get the best taste. Once it done, drain the water and allow to cool. Squeeze the excess water completely from the fish and scramble it using your hands. 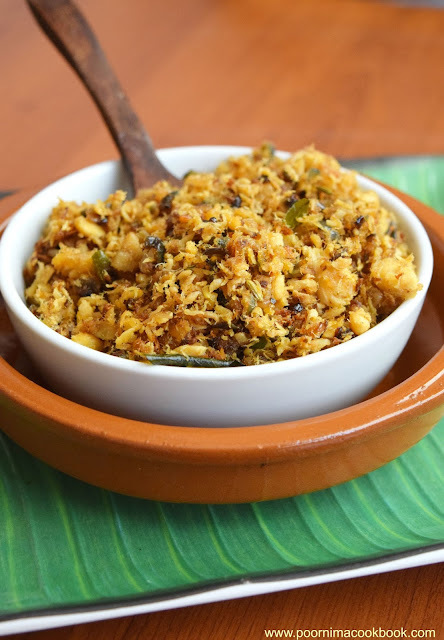 Add turmeric powder, red chilli powder, pepper powder and salt to the scrambled fish. Heat oil in a pan, season it with fennel seeds and curry leaves. Once it is crackles, add chopped garlic and sauté. 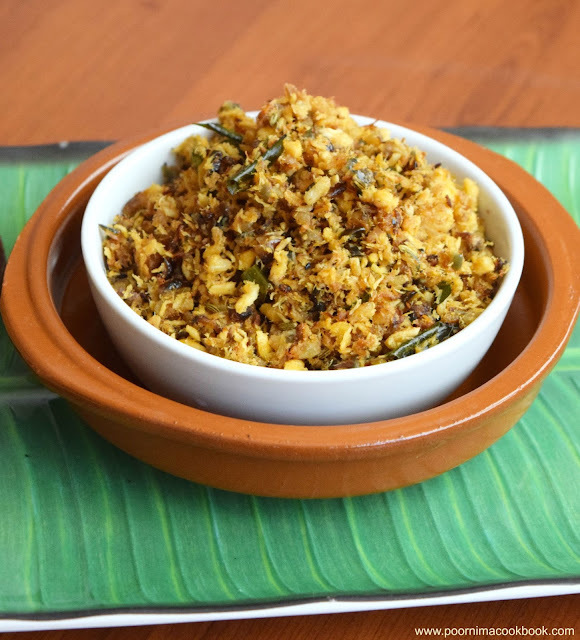 Once the colour start to change add finely chopped onions, fry till the onions becomes slight brown in colour. After that add scrambled fish mixture and mix well. 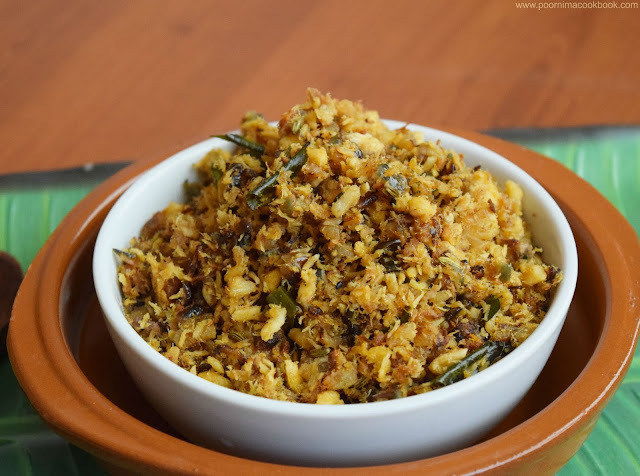 Allow to cook for another 5 to 10 minutes in medium flame till masala blends with fish. Switch off the gas and serve hot as a accompaniment to rice paired with fish kulambu or rasam. Wow... just drooling, we don't get shark here... all i can do now is open up your blog and drool!